Perry finally pulls off mammography unit for Sligo. New service scheduled to be rolled out within next few months. 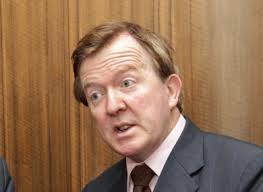 John Perry, who lost his Dail seat in the last election, will no doubt be delighted that his persistent campaigning for the provision of a mammography service at Sligo Hospital has paid off at last. Others may seek to claim credit for the development, but many will hold that it was Perry’s persistence which triumphed at the end of the day. The service, promised during the lifetime of the last Government, will be widely welcomed by all who fought for long to secure it. Barring some unforeseen hitch is hoped that the new service will be on stream in September. Previous PostSligo County Council to take housing developments in chargeNext PostChairman of Aurivo Board steps down.